Adele is one of the most underrated artists of our time. Every few years our speakers and hearts are blessed with the talent of an artist that outshines all the rest. Compareably we have Ella Fitzgerald, Simon & Garfunkel and Carol King. While all of these people had their talents adequately celebrated during their peak, their greatness was forgotten until much, much later. With the unfortunate strike of an illness, a family dynamic shift, or just a need to escape the hectic landscape of life these artists and writers were fazed out until their light was brightly seen by others of a proceeding generation. We can’t let that happen to the power of Adele. This woman’s voice and range stand in a league of their own. With her powerful essence, raspy tone and sing-song melody, she has the power to story tell with any set of lyrics (I’m half tempted to believe she would make me feel the emotion behind the alphabet). While I love all of her music I’ve become recently re-interested in 21. The meaning and truth behind the lyrics on this album are heart stopping and will make anyone with a heart think deeper than they thought they could. We’ve all loved, been hurt, fell back into love, had regrets, wishes or hopes before and this album wholeheartedly speaks to every high and low you’ve felt. I was absolutely in love with this album when it first came out. I lived in a two bedroom dorm right about the late-night campus store and the health services office. It was my favorite year of college and my favorite room I’ve ever lived in. It wasn’t the biggest room by far, it didn’t even have an oven, but there is something about the memories that room holds for me that will forever stay with me. I always say the biggest houses are always the emptiest and I’ve been simplistic in the things I desire or dream about. I think that translates to the music that resonates with me. That’s the power of Adele and the power of music. The simplest phrase, word, or even gesture can mean so much with the right melody and rhythm underneath. A pure piano with powerful vocals and an important story means more to me than any highly orchestrated Pop song I’ve ever heard. Songs off of 21 like “Do You Remember” are a testament to every time you’ve questioned whether your body and mind felt harder than anyone else’s. “One and Only” rings true for everyone. Just listen. “Turning Tables” is my favorite off of the album though, I feel like the instrumental alludes to a calm storm rolling in. The lyrics aren’t complicatd but they’re real. The song talks about building up walls for the last person you want to block out and I think can apply to anyone’s who’s been hurt or scared before. It’s a beautiful, but I can’t name a song of her’s that isn’t. If you haven’t taken the time to listen all the way through 21 or even listen to more Adele then just what you’ve heard on the radio, I would highly suggest joining Spotify right now and accessing every one of her novel-like songs at your fingertips. Talent like hers is hard to come by and I think sometimes under appreciated. In a technology age it is easy for us to discard what isn’t relevant and because of vocal nodules, Adele had to take time off of the one thing she loves most. As someone who has had them and the surgery, I can tell you that being voiceless is the strangest and most frustrating thing, especially when your voice is your weapon. It’s how you articulate, unwind, destress. But just because she isn’t currently making music doesn’t mean we have to forget the talented musician that first came across the radio waves in 2008. 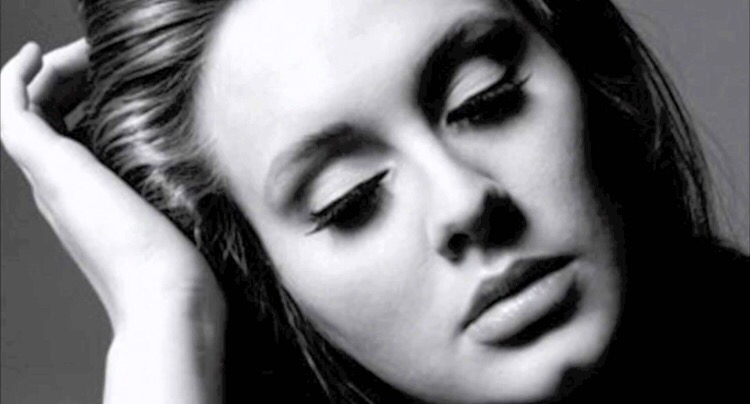 The power of Adele is to live vicariously through a story. It’s to hear your own thoughts brought to life in a way much more poetic than you could have said it. I guess in the end, that’s the power of music. So use it to cope, laugh, cry, get angry or extremely happy with, but never forge those who create forever tracks.